Veteran Multi-Purpose Center’s veterans and their families are never charged for our programs, all fees and expenses are fully covered through generous financial support from donors, sponsors and benefactors—people like you. 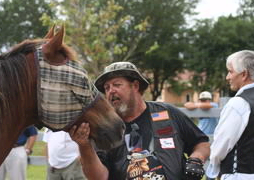 Through your support our veteran clients are inspired to greatness. Donate to Veterans Multi-Purpose Center, and start changing lives today. How do I make a donation to Veterans Multi-Purpose Center? If you are called on the phone by one of our representatives and asked for a donation and you agree to support us, we have several ways you can safely do that. Donations using DONATE BY CHECK technology HAS BECOME THE SAFEST MOST POPULAR WAY FOR PEOPLE TO MAKE A CHARITABLE DONATION TODAY. To do so, you simply go to the donation page, click on the DONATE BY CHECK SIGN and fill in your check information and your information goes directly to a secure server. No one can see your information except the automated system and your bank. You must enter your email address and you will receive an exact copy of your check and your IRS tax receipt. If e-mailing your donation, you scan the filled out check into to your computer and email it to vetsmpc@aol.com. Again you don’t even need to sign the check. 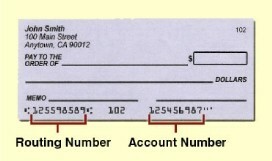 By not signing your donation check you have made it impossible for any one but the e-check technology to process it and only deposit it to our non-profit account. Lastly, you can make your donation using PayPal or credit card. With e-check technology your check is scanned and the Routing number and the Account number are used to debit the donation amount from your business or personal account and deposited into our Bank of America non-profit account number 898021372550. A tax deductible donation receipt is then faxed or emailed to you. Is it safe to make donations online? Veterans Multi-Purpose Center is a nonprofit IRS 501(c)(3) organization and your donation is tax-deductible in the United States, as permitted by law.